Having six older siblings, I am the seventh-born in my family. Saven sounds a bit like seven but “saven” or “sav” has some germane translations such as saw or save in various Scandinavian languages. For me, the name Savenwood felt just right. Seth Godin. I can give no higher recommendation. Subscribe to his daily blog. Read his books – all of them. Listen to Akimbo. Participate in one of his programs like The Marketing Seminar or the altMBA. Your life will change for the better. Your perspective will change. Seth is maximally generous with his knowledge and his efforts to help people make the positive change they seek in the world. One of Seth’s influences is Zig Ziglar, so it makes sense to mention him, too. Chris Staley. Chris is a potter, an educator, and an intensely thoughtful artist. His curiosity and contemplative approach to the world have had a transformative effect in my life. I am grateful that our paths intersected at a meaningful time for me. Cristin Millett. Alison Luoma. Bonnie Collura. Sarah Knouse. Francesco Lombardo. Nolen Strals. Work ethic. Grit. Endless drive. When my momentum slows, I think of these artists and I get back to work – if not by way of inspiration, then by crushing guilt. NPR. My father used to listen to National Public Radio in the mornings, and I have many childhood memories with an audio backdrop of Car Talk, A Prairie Home Companion, Weekend Edition, and the news. I'm not sure how to quantify the effect, but it seems like a memoir soundtrack of sorts. Archdiocese of Baltimore Youth Ministry. Public grade school. Catholic high school. It was during high school that I met some educators and youth ministry titans who would change the trajectory of my life. John Mojzisek. Ruth Puls. Patty Donohue. Mark Pacione. Carol Pacione. Chris Ashby. Tony Tamberino. Pat Sprankle. Others, too. Kevin Kallaugher: Better known publicly as the editorial cartoonist KAL. When I was young, I used to copy KAL’s drawings. I was fascinated by the crosshatching, the wonderful caricatures, and the political poignancy. At the time I was drawing from these newspaper clippings, George H.W. Bush, Gorbachev, Clarence Thomas, Saddam Hussein, and Bill Clinton dominated the top-right corner of the third-to-last page of the front section of the Baltimore Sun. Friends, Family, and Others. It seems strange to list the influences above without mentioning names like Erin, Jason, Dan, Jack, Clay, Kevin, Tim, Ryan, Mr. J., and my parents. So now that I've mentioned them, even without context, I feel a little better. I owe who I am to them too, and to many more. In no particular order, I've listed some of my favorite small tools. While I enjoy using a variety of different tools for different tasks, I find myself using these items again and again. Note that the images are not to scale. For a long time, a 5-5/8 by 3-5/8 in. squared Moleskine was my notebook of choice. These days, I use an 85 g/m2 Fabriano spiral-bound. It's a nice proportion, and it lays flat. This is especially useful when making references to drawings while in the shop or in the studio. While I keep a paper notebook, I also use the mobile notebook app Evernote. Daily notes, to-do lists, articles, plans – all of it is in my Evernote notebook, synced across multiple platforms. I rely on it many times, every day. Check it out for yourself at evernote.com. I've used these pens for about four years, and I really like them. In addition to being lightfast, they claim to be acid-free and archival. So far, so good. I started out using the 03 (and I still use that size sometimes) but I've begun to use the 01 more often because of its delicate, accurate line. 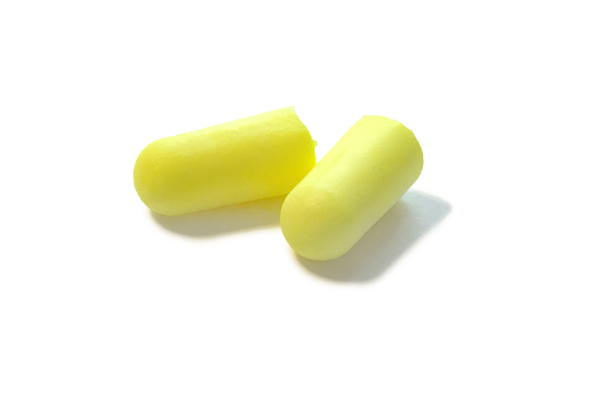 These earplugs are amazing, and essential if you use machinery. 3M's Soft Yellow Neons offer a noise reduction rating of 33 dB (the highest NRR available). Love them. Super handy. The DLR130 uses a laser beam to measure length - and it has simple buttons to specify functions such as area and volume. It's very simple to move between fractions, decimals, US Standard, and metric. I like using this tool when I have to take inside measurements, or when I need to take measurements that exceed 12 feet. This particular model has been discontinued, but similar new versions are available. I use this waterproof, rugged case to hold anything I want to keep dry, or from being crushed. Lots of times, that's a mobile phone, wallet and keys, or an external hard drive. The latch is simple to use, and the inside is padded. A few sizes are available, but I like the 1040 because it fits most of the latest smartphones. What's nice about this tool is that you can quickly retract the lead and keep the pencil safely stored in a pocket. It includes a built-in sharpening device. German tradesman are big fans of folding rulers, and so am I. There are two camps on these tools – those who like them, and those who don't. I think they're great, and Hultafors makes a tip-top version. I picked up mine from Dave Street at Big Bear Tools. Good guy – good company. A saddle square helps in transferring a mark to a perpendicular face, or for marking two sides of a piece at the same time. It's nice and sturdy, so it won't be out of square if it gets knocked around. 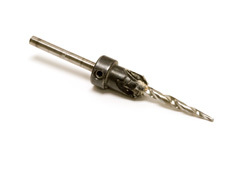 Whether it's drawer glides, hinges, or brackets – a self-centering drill bit is indispensable. It has been a long time since I've used a pencil and awl for marking circumferences and centers. This square is solidly built, and I use it nearly every day. Because of its design, it is able to stand upright on its base, or to sit on the edge of a board hands-free. The 1281 is very accurate, and Woodpecker offers a lifetime guarantee of squareness. The version I use has a metric 1 mm scale. Note that I don't use it for layout since the thickness of the blade keeps the markings 4 mm off the surface of the work. Tool organization means efficiency. If you're compelled to be organized and you're a fan of amazing German engineering, these tool storage systems are second to none. The units stack together easily, and have modular interior dividers and compartments. Festool is a high-quality manufacturer, so be prepared to use the term investment instead of bargain. I'm a big fan of this tapered drill bit's resistance to wandering when you put its point on a surface. The adjustable countersink keeps everything clean when it comes to screw heads or plugs. These fasteners will take a lot of torque without breaking. Plus, there aren't driver cam-out issues with the Robert's (square) style. This waxy lubricant is really handy. In addition to lowering the torque necessary to turn fasteners, it eliminates the squeaking and creaking that can occur when sinking a screw into hard materials.